While we see partnerships between local authorities and developers as key to unlocking the urban land supply that is needed to deliver housing growth, it is essential not to neglect other parts of the market. In the past, it has been the smaller and medium sized housebuilders who have delivered much of the volume growth.We must continue to support and encourage this segment of the market and provide opportunities for the small and medium sized firms to be part of the industryâ€™s growth.We have made a variety of recommendations to achieve this, including securing a supply of smaller sites and ensuring that they are viable. We have recommended that no general action should be taken to force the faster build-out of land banks; we are clear that this will put production at risk, not add to it. However, there is no reason why Government or other public agencies should not stipulate faster build-out rates when disposing of land for housebuilding or within partnering agreements, so long as they can justify any loss of value this may incur. We have also made some recommendations for more transparency in the use and status of land for future housebuilding. Similarly we have not recommended that Government stipulate the use of specific methods of construction. Our view is that over time the industry itself will determine what are the most cost-effective techniques.We welcome the new higher performance standards now being required by both the Housing Corporation and English Partnerships. This is certainly the right approach to promoting innovation and quality. In the current housebuilding market, however, there are insufficient incentives for quality. The returns to housebuilders for investing in quality barely justify the effort. 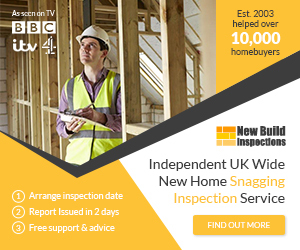 In the drive for increased quality, we are recommending that within the next two years, housebuilders seeking Government grants or other public subsidy must achieve customer satisfaction standards which have been established by an independent led survey. Efforts should be made to make sure this stipulation does not inhibit small and medium size builders and developers. The existing regulatory and warranty frameworks are an inadequate substitute for market disciplines.We are therefore recommending new arrangements for design review and for construction which incentivise good quality and impose real penalties for poor quality. One of the most challenging aspects of our Review was to consider the increase in housebuilding alongside the Government’s aspiration to be world class in the delivery of zero-carbon homes by 2016. We conclude that with multiple technical options and long lead times in the production supply chain, the industry itself will be stretched to meet the goals in this very tight timeframe, but with the Government demonstrating strong leadership, direction and being firm in its commitment, the industry and its supply chain, including construction products manufacturers and energy suppliers, can meet our zero carbon targets. We have provided a delivery timetable which shows a number of actions that need to be set in hand now to make this happen. In particular we consider it is essential to establish a delivery body which will lead and co-ordinate the efforts of all parties towards the zero carbon target. In conclusion, our Review shows clearly that the housebuilding industry and its supply chain have the potential to deliver 240,000 new good quality homes a year by 2016 and to achieve the zero carbon targets. However, the industry is answerable only to its investors and shareholders and not to the public interest. This is why most of our recommendations are addressed to central and local government. It is their business, not that of the industry, to deliver public goals.We are clear, however, that by following our recommendations Government will put in place a framework of incentives and opportunities which will create a strong commercial motive on the part of the sector and its shareholders to deliver the Government’s targets for 2016 and beyond.